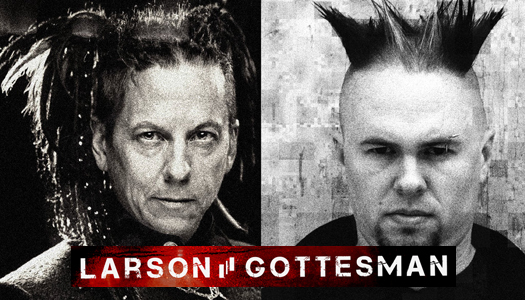 Deniers, the debut single from Larson/Gottesman – the new collaborationg between Kurt Larson (Information Society) and Eric Gottesman (Everything Goes Cold), has been announced for release on February 12 via Bandcamp. 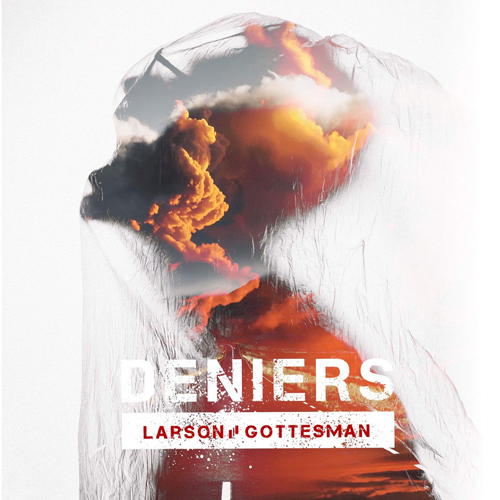 With the song’s composition having begun in 2015, “Deniers” addresses themes of social and ecological change, “a particular point of acrimony for Larson,” with the tagline “Science is real. Climage change is upon us. Save yourselves.” The duo hopes for the single to draw greater attention to these issues, especially among other artists. Stylistically, the track presents a merger of Gottesman’s eclectic blend of industrial/rock with harsh chiptune textures and Larson’s distinctive synthpop flair. 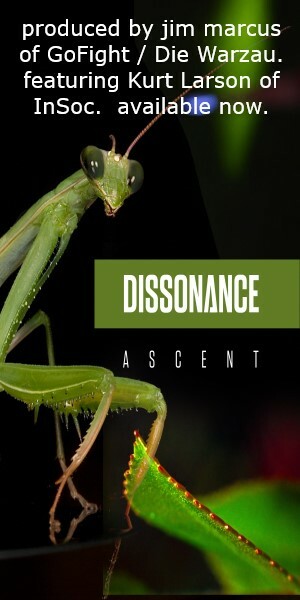 The single includes both a vocal and instrumental version of the track, along with remixes by Aedra Oh (FIRES) and Daniel X Belasco (Glass Apple Bonzai); other notable collaborators on the single include mastering by Da5id Din (Informatik), and cover artwork by Jim Marcus (GoFight, Die Warzau).